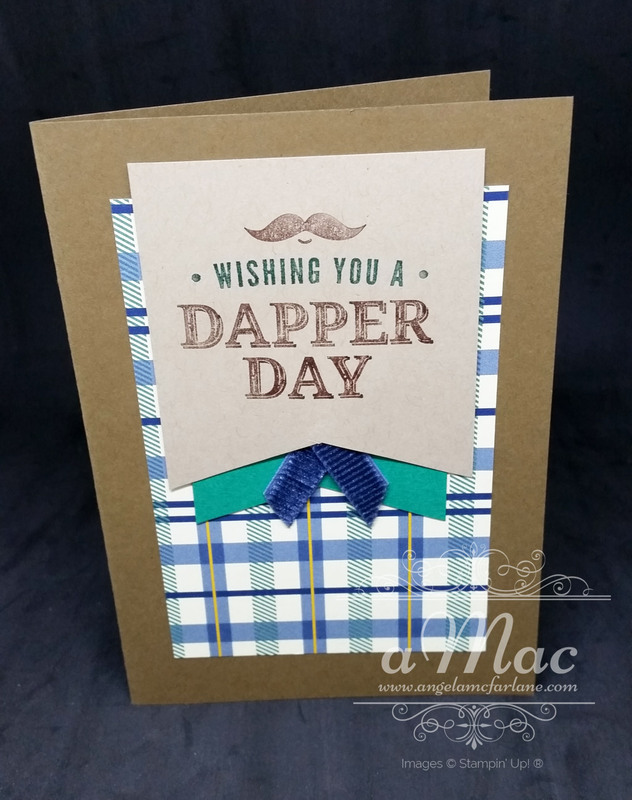 This week we made four masculine cards using the Truly Tailored bundle. Thanks to everyone who came, we had a fun class. 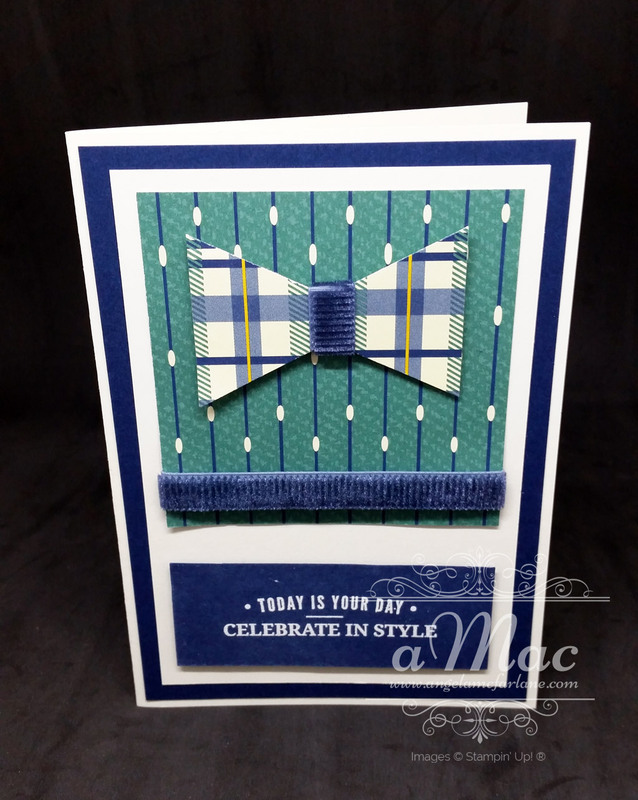 This is a great masculine set and the punch is very versatile – see the card with the bow. 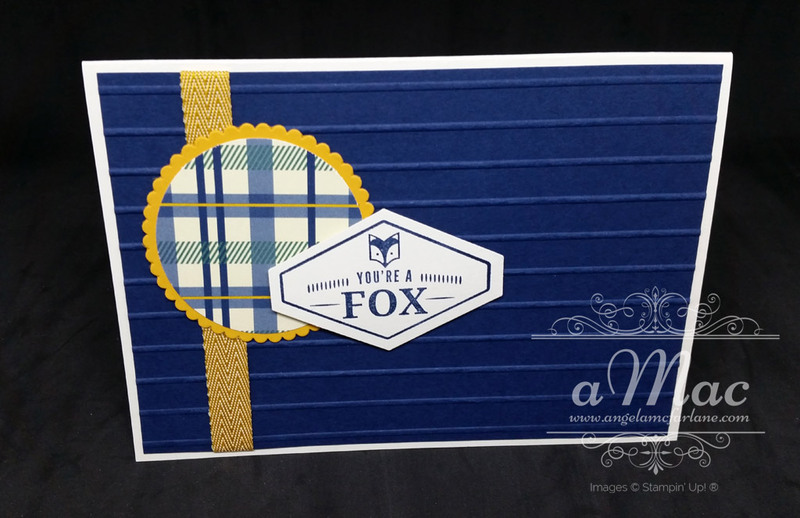 The shape is cut in half then reversed and joined in the middle then covered with ribbon. The Tailored Tag Punch can be used for many other occasions too. 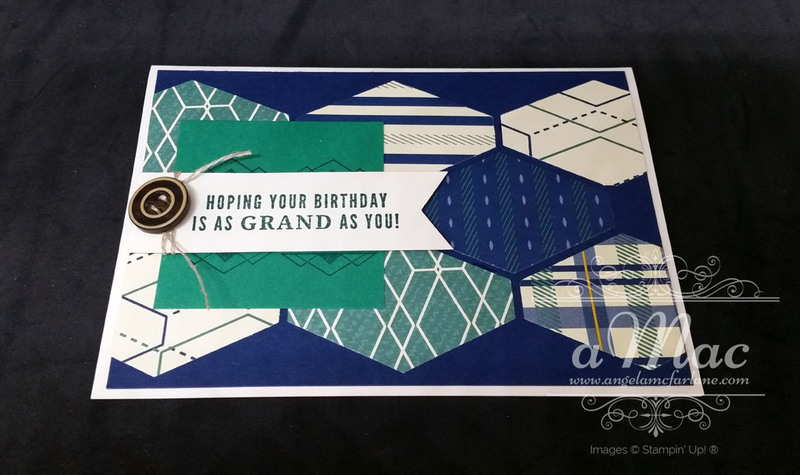 We used several techniques including heat embossing, textured embossing, inking stamps using markers and creating a design using punched out shapes of Designer Series Paper. Do you want some freebies? If you purchase this bundle and a few more items of your choice during Sale-A-Bration, you can earn a free product from the Sale-A-Bration catalogue! If you’d like to join us for next class, please contact me.